“This program annually recognizes principals who demonstrate exemplary skills in instructional leadership, supporting a safe learning environment and fostering a collaborative culture of decision making among members of the school community. 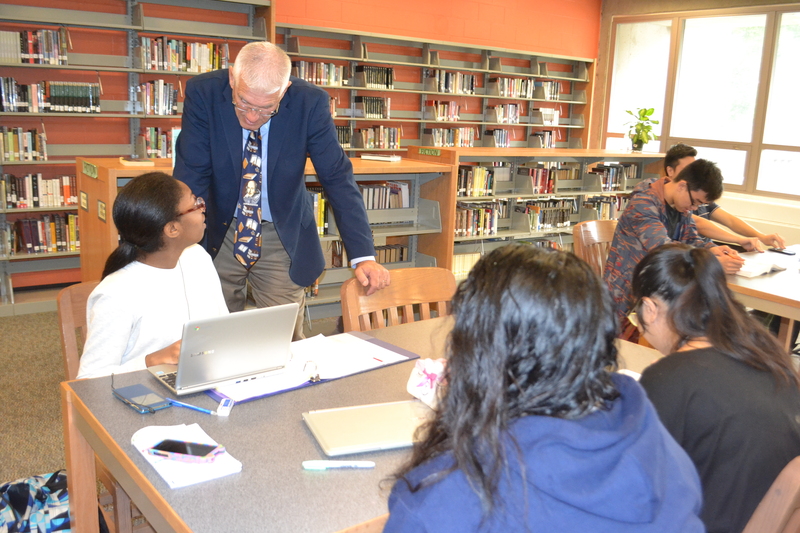 Mr. Brown will receive the 38th Bertram H. Holland Award at the annual MSSAA Leadership Institute at the Hyannis Resort and Conference Center on July 27, 2016. 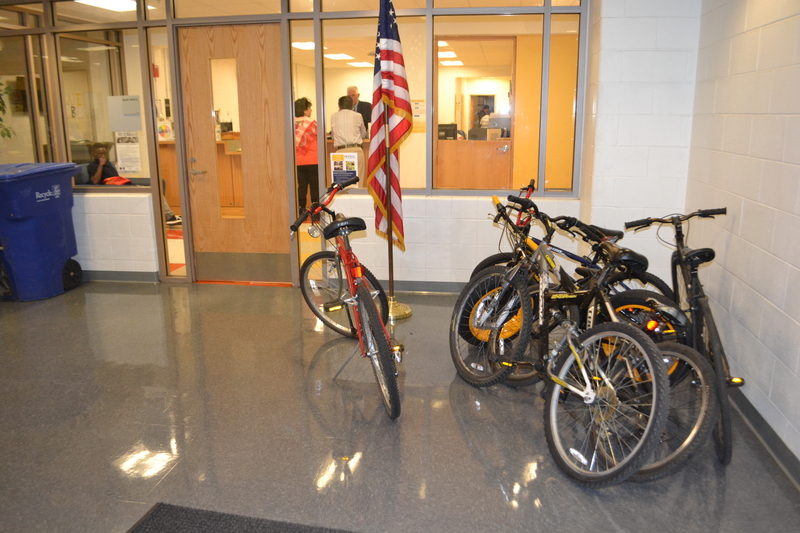 For just a few moments, I waited in the Malden High School Boyle conference room for Principal Dana Brown to arrive. The stark walls, devoid of distractions, shared nothing. The laminate conference table did not reflect any stories. The 12 chairs were empty and ready. Notorious excuses for being late, especially on late entry days when school starts early, exemplify the humor. On a late appearance, one girl replied that of course she was late. 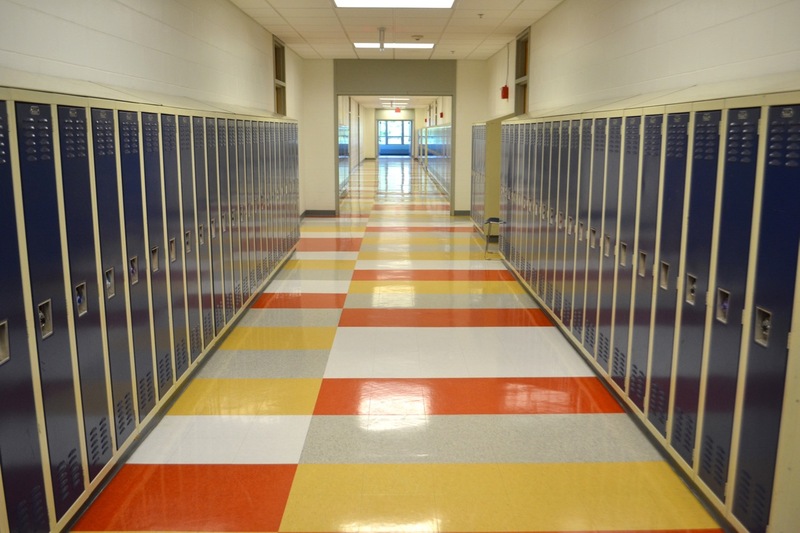 She had a nail appointment at 9:30 a.m.
One outstanding story is of a freshman who came to Brown regarding the legendary “Freshman Friday” when ninth graders are allegedly stuffed in their lockers. Brown reassured her that this has never happened. For some unknown reason, the petite girl decided to put herself in a long thin locker (this was before the $77 million dollar renovation and new lockers). Unfortunately, the fire department had to use lots of tools to extricate the stressed student from the jammed locker. 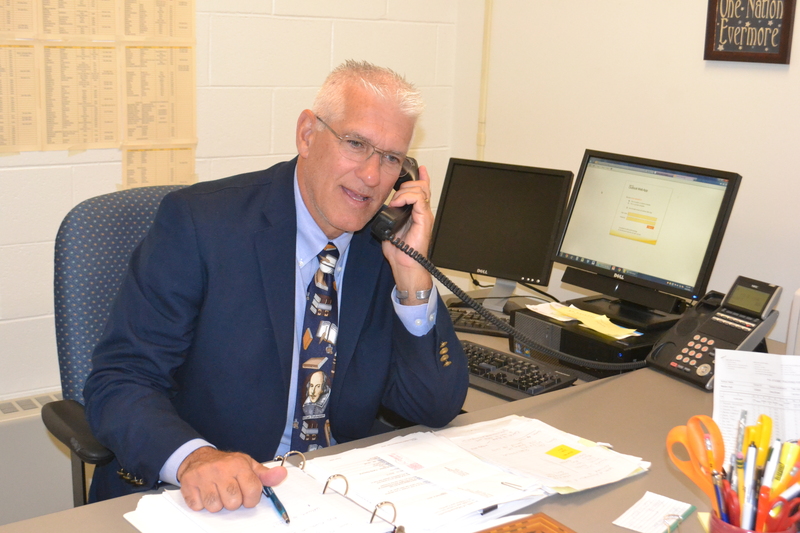 This is Brown’s thirteenth year of being principal of Malden High School. For at least the past few years, the city has held their breath, hoping that Brown would not leave this position. 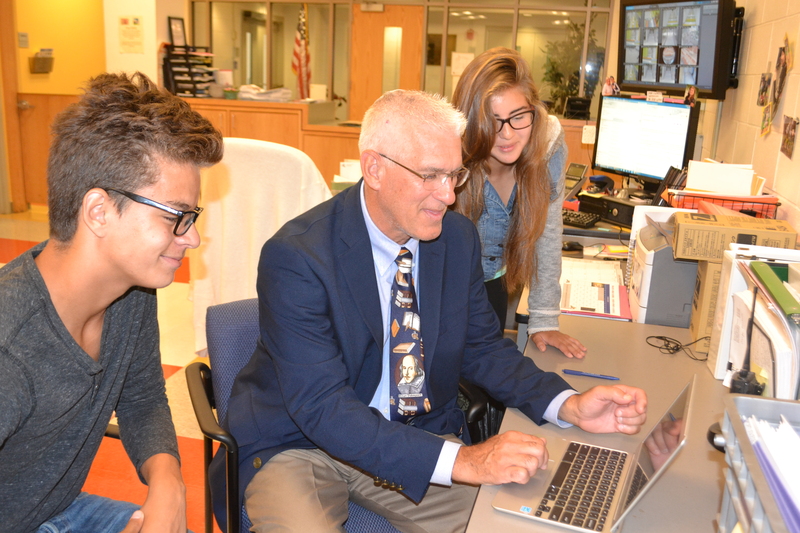 His tenure at Malden High School greatly exceeds the average length of three to four years. 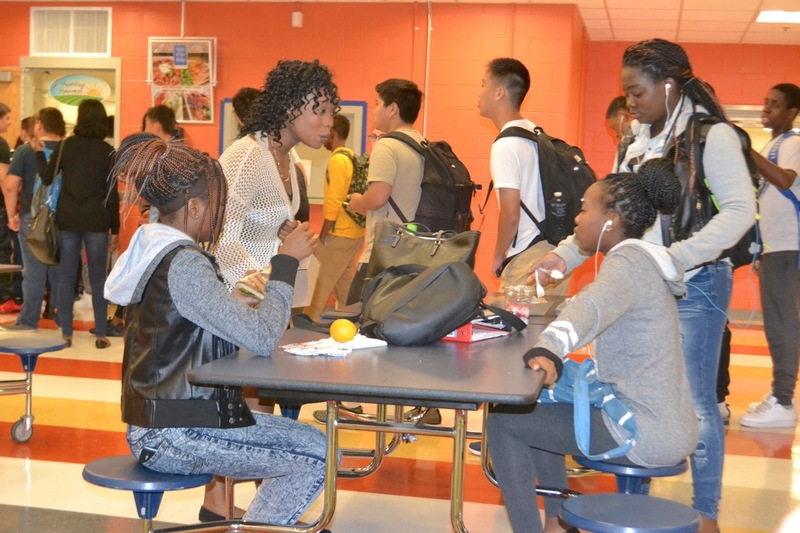 Malden High School student population totals 1820. In a 2013 study by the National Center for Education Statistics, Malden High was found to be the most diverse public high school in Massachusetts with a wide racial diversity of approximately 70 percent. How did Dana Brown become the principal of Malden High School in 2003? Initially, he started out as a political science major with prospects of studying law in the future. During his junior year of college, he became involved with basketball and aspired to be a coach. In order to coach school sports, one needs to teach. Hence, he switched his major to education. Back in 1999-2000, Brown was appointed as the community schools director for the Partnership for Community Schools of Malden. PCSM was newly founded due to a large federal grant. The former mayor had invited him to become the director with his experience in a similar program in another town. During his third year of directorship, Brown sat down with the former mayor as a concerned citizen and they spoke regarding Dana’s concerns with the high school. Brown’s two daughters were both in the Malden public school system at the time. It was known that the current principal was looking to leave Malden High School and this was harmful for the school culture.“The school needed change,” he said. It was evident that families were leaving Malden High School, due to a poor public reputation during the late ’90s through 2002. 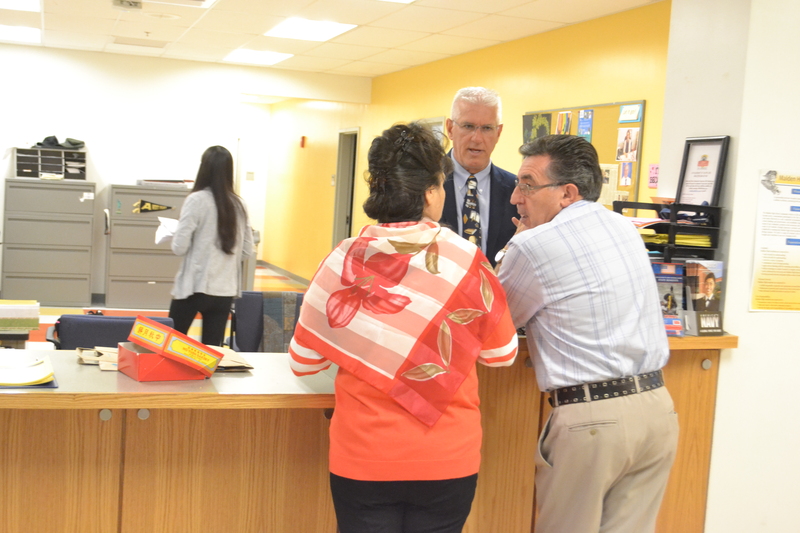 Soon after the conversation, the former mayor proposed that Dana Brown consider being principal after discussing the potential of Malden High School. Long-time Malden residents Marie and Dana Brown thought intensely about this challenging opportunity. It could prove to be difficult for their sophomore daughter, Jackie. But, they both agreed that Dana could make a difference for Malden High School and that was the bigger picture, including supporting their daughter. Three months later, Brown became principal of Malden High School. Dana Marie Brown, their oldest daughter, graduated on a Sunday and the next night, the city school committee appointed Brown as principal. “In a lot of communities, if you can turn the high school around, the city can gain some momentum. If the high school goes down the tubes, the city can lose a lot of momentum. That was part of the thought process,” he says. During the summer, the faculty continues to enrich their teaching through courses, in-house trainings and meetings. Brown reiterates, “The faculty and staff are key. Research shows that if test scores go up, administration is responsible for a small percentage of that and the teaching staff is responsible for the overwhelming jump in test scores.” Anytime that the school shows improvement, the administration is to be credited a little bit and the teaching staff receives the majority of the credit. Brown contemplates momentarily, “We could use someone to be a quasi-administrator here, about 4 nights per week. We run Bunker Hill programs, we have all sorts of clubs and activities here …this place is buzzing 24/7 … maybe a night school coordinator or evening administrator. I find myself here sometimes til 7 p.m., 8 p.m., 9 p.m. even 10 p.m. Thank you for this insightful story. I feel like I got to meet Dana Brown! Dana Brown was the best principle I have ever had through out my school experience. He made a difference. Even recently he remember who I was and my name. I am so happy I had the experience of having him as my principle for high school . He is a great person and it shows through his actions. Thank you to Liz for painting the picture with wonderful photos! What a sensitive portrait you’ve painted of Dana Brown. You’re a gifted writer with great perceptive. Great work!